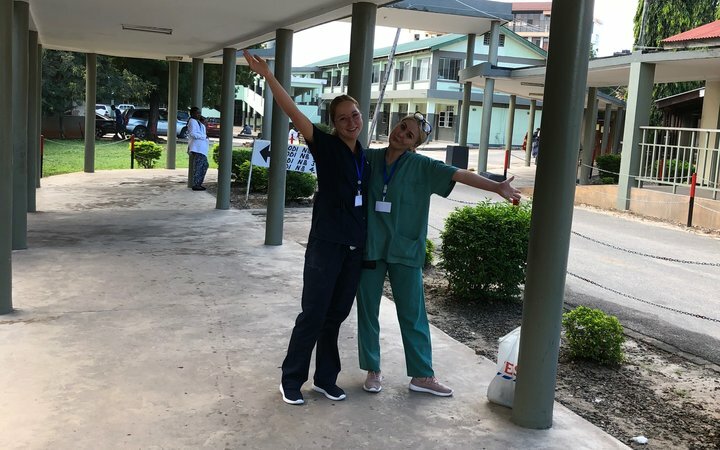 My friend and I recently returned from an incredible two-week Midwifery placement in Dar Es Salaam, Tanzania. Work the World were supportive, making sure we were on track for our placement right from the very beginning. The online placement planner we got access to was a really useful tool. It outlined everything that needed to be done prior to departure. Being busy final year midwifery students, we appreciated the thoughtfully spaced out deadlines for each requirement! When we arrived in Tanzania, one of the Work the World representatives was there waiting to meet us and take us back to our accommodation. When we arrived at the Work the World house, we absolutely fell in love with it! It represented the Tanzanian culture whilst having everything we could possibly need, including many jars of Nutella. Meeting and living with all the other students, and spending the next two weeks with them, were some of the best aspects of travelling with Work the World. We now have lifelong friends from all around the globe. The vibe at the house was fabulous. And I don’t think we could praise the staff enough, especially the wonderful catering team—I ate better in those 2 weeks than I ever have before! On our second day in Dar Es Salaam, the Work the World team helped us to exchange money and buy local SIM cards. We visited our placement hospitals too. Everything went smoothly, and we were grateful to have had a formal introduction at the hospital prior to our first shift. 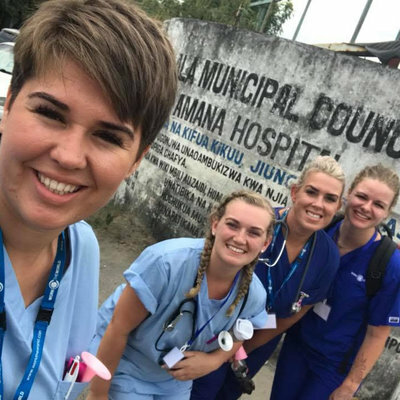 When we arrived for our first day of placement, we saw just how different the Tanzanian healthcare system was compared to back home in Australia. It required a ‘can do’ attitude as we jumped in on the first day. 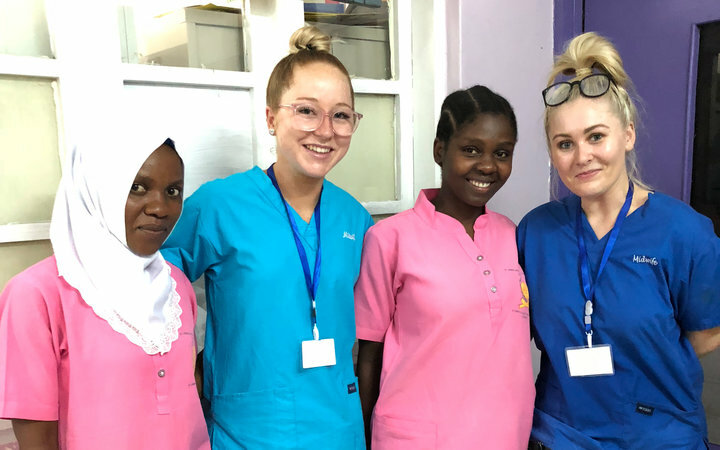 The Tanzanian midwives and students were warm and welcoming, which helped a lot. We built great relationships with them quite quickly. And ultimately, they helped us achieve everything we wanted to clinically. It was also apparent that Amana Hospital had a lot of deliveries. We delivered 5 babies collectively during this first shift and I was fortunate enough to deliver a breech baby myself. 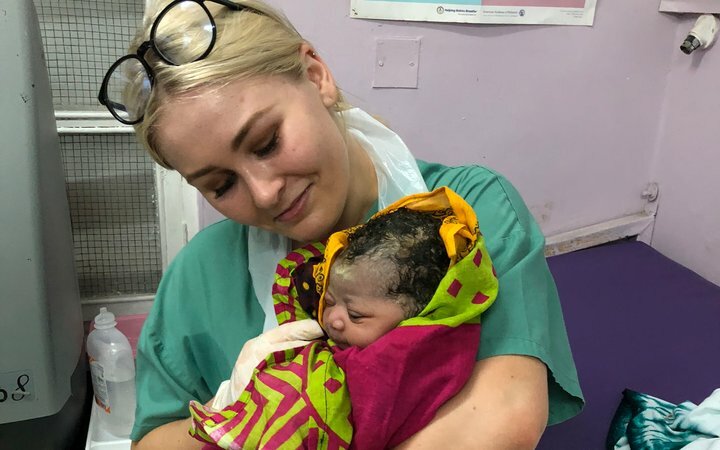 I had only performed a breech delivery in simulation at home, but a senior Tanzanian midwife was there right beside me guiding me through the process. Over the course of our two-week placement, we got plenty of deliveries under our belts. We also saw a c-section performed with a classical incision. But there was more to learn from our placements than just getting extra delivery experience! 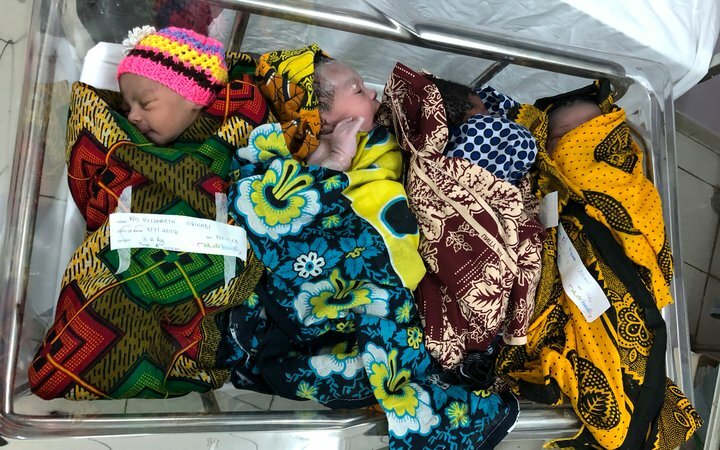 For example, Tanzanian midwives did a lot less intrapartum observation than at home, which often resulted in babies needing resuscitation. 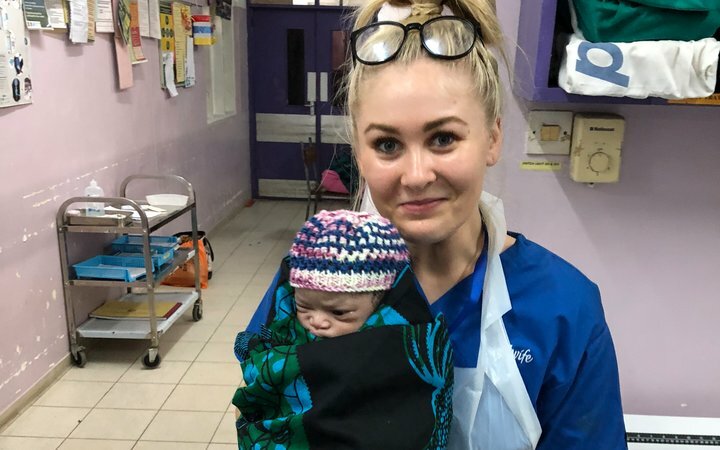 This hammered home the importance of intrapartum observation, and what the consequences of not performing it regularly could be. Some other midwives who had been in the hospital before us had left some dopplers at the hospital. 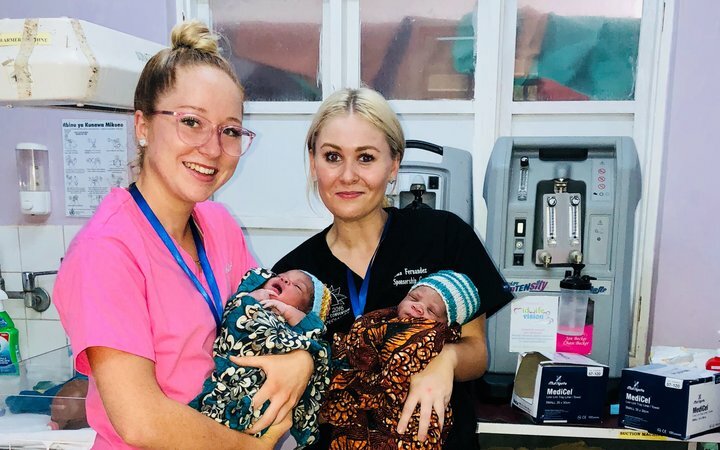 We took full advantage of these to do plenty of fetal heart rates, and we talked to the Tanzanian student midwives about the importance of this where we were from. There were cultural differences in the way care was delivered. Tanzanian nurses sometimes yelled at the labouring women if they made too much noise or didn’t cooperate. However, Work the World prepared us well for this, so we were able to be respectful about it. Local staff were incredible! They had different ways of dealing with situations than we do in Australia, but they clearly knew what they were doing. We rarely saw adverse outcomes. Their English was also amazing, which really helped our experience. Once we built rapport with them, they were always willing to assist us with communicating with mothers (they spoke very little English) or handing us equipment during deliveries. They even offered to teach us skills like suturing and cannulation, but to stay within our Australian scope of practice we opted to just watch. I had never been to Africa before, so I honestly didn’t know what to expect. Fortunately for us it was the most beautiful country with the most warm and welcoming people! I never once felt unsafe. We had most of our afternoons free to explore the city. We went to many of the local markets and bought way too many Kangas (the beautiful, colourful fabrics Tanzanians wrap their babies in). We went on Safari, which was fantastic. But unfortunately didn’t have enough time to go to the famous Zanzibar island. 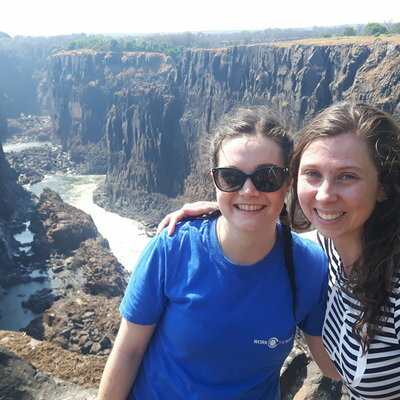 Though we weren’t worried because even whilst in Tanzania, we were already planning our next placement there! 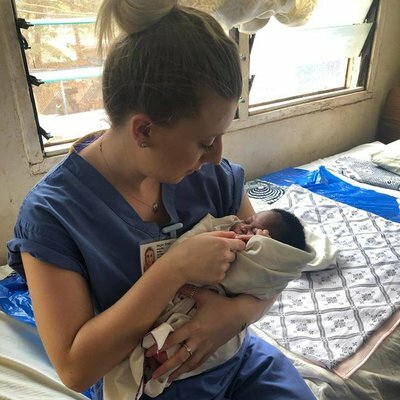 I would highly recommend doing a Midwifery placement through Work the World in Dar Es Salaam, Tanzania. We constantly felt supported, had the best team at the Work the World House, and met the most incredible people from all over the world. Most importantly, we safely delivered many new babies into the world, and provided comfort and support to some of the strongest women we’d ever met.